When the snow begins to fall and the temperatures take a dive, nothing warms me up like a piping hot drink. 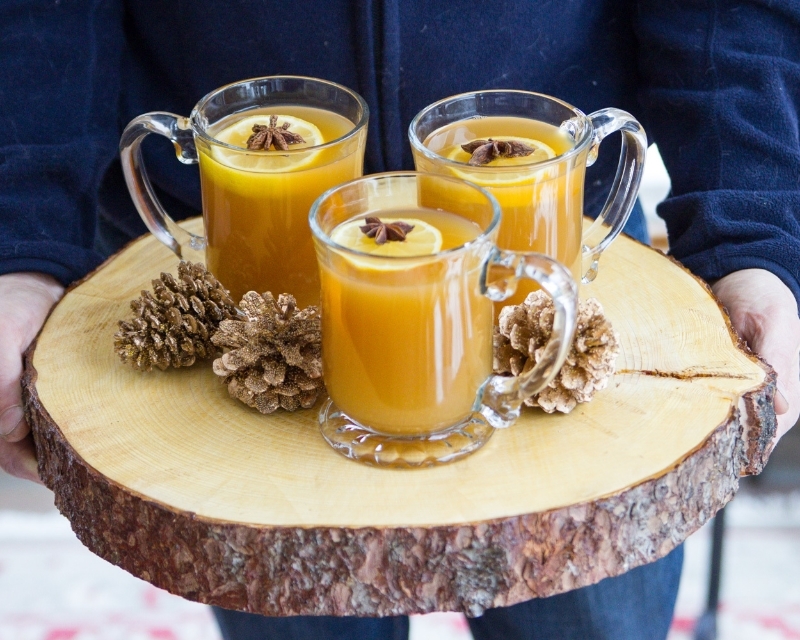 One of my favorites is a steamy mug of apple cider spiced with oranges, lemons, cinnamon sticks, cloves, and star anise. Sometimes I'll add a little splash of Calvados or Bourbon, which only improves the situation.